Year 8 welcomed Mr Pol Wong to their RS class to hear about his life and experiences as a Buddhist. 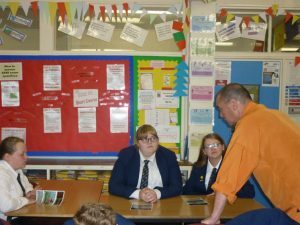 He shared his insights, and Year 8 enjoyed the opportunity to ask questions and share their existing knowledge on the topic. ‘I was delighted Mr Wong was able to come in and spend time with the pupils in class. He was able to really put across what being a Buddhist was in the context of everyday life’.